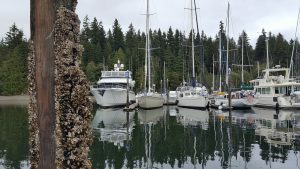 Scenic, picturesque, and so many other synonyms and adjectives are aptly used to describe Port Ludlow. The dictionary definition for scenic reads “providing or relating to views of impressive or beautiful natural scenery.” But I must disagree. Many “scenic” spots do not have to be traditionally beautiful or even natural for that matter. One of my favorite ways to remember and celebrate memories and vacations is through photos. They say an image says 1,000 words but for me when looking at my vacation photos I am brought back to a blissful time and place. We all fancy ourselves amateur photographers these days and it is impressive the quality of photos you can take with a smartphone. Here are four of the most scenic spots in Port Ludlow to practice your photo skills and relish in your Olympic Peninsula vacation long after you leave Port Ludlow. All photos below were taken with a Samsung Galaxy 6. Stroll the Marina docks, especially docks B & E, to find some of the most striking visuals in Port Ludlow. From the beautiful boats to panoramic views of Ludlow Bay, the Inn & The Fireside, and Burner Point – you’re surely going to end up with an #Instaworthy photo. Just a short walk from the Marina, Burner Point presents a variety of scenic shots. 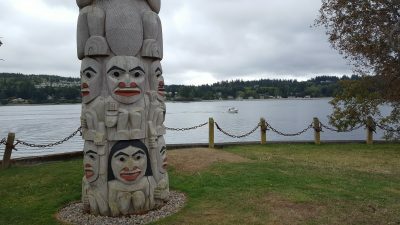 Enjoy water & beach views, the Totem Pole, and historic boom chain. This peaceful setting will inspire your inner creativity. 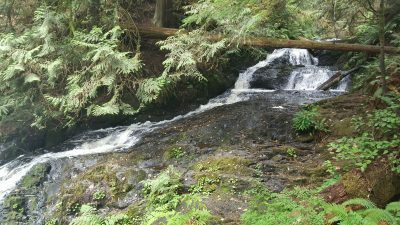 How incredibly amazing is it to have a waterfall right in the heart of Port Ludlow? Enjoy the foliage lined ½ mile loop or just walk straight to the falls for an experience you won’t soon forget. Ludlow Falls is quick a one mile drive from the Inn or 15 minute walk. Trust me…this is worth the uphill hike. 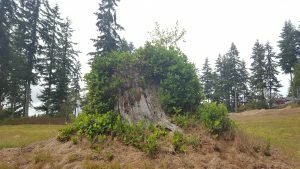 Walk through the old cart paths and grassy trails with vegetation growing out of old tree stumps to vantage points where views of Olympic Mountains, Ludlow Bay, and the Marina are as far as the eye can see. It’s about the journey, not the destination – right?